The aftermath of a typical 10 to 6 job may be a drained-out you. It is not just the perpetual physical tiredness but mental exhaustion as well. Your brain ticks like a clock every minute, every second. Amid such chaos and humdrum, who on earth has the time to go for a jog? A lot may be lost between those empty potato chips packets, long working hours and your fitness goals that were scheduled for a tomorrow that hasn’t come so far! This World Health Day, we shall be addressing one of the most prominent health concerns of this age – sedentary lifestyle and its adverse affects on human health. We know that it is about time that we take charge of our health and get active. I have heard many say that the best you can do for your health is to get out there and run a mile or two. Just in case you are one of those who can’t get around running much, we have an inspiring personality whose achievements and story will go a long way to inspire you. 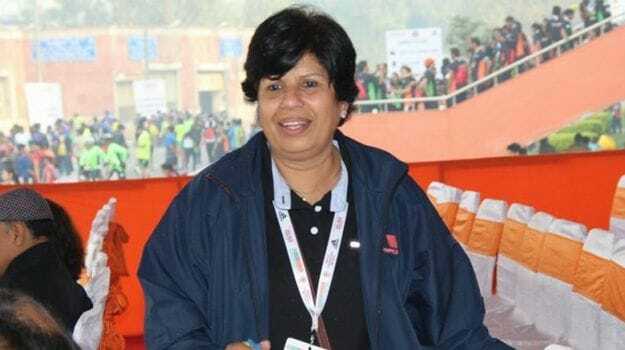 I met Ms. Sunita Godara sometime back during one of the running events here in Delhi. At first, I thought she must have been a frequent runner, little did I know that the woman was par excellence. I could earlier never get myself to run. 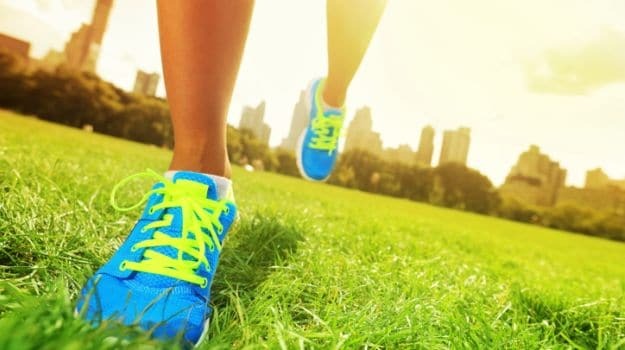 All through my life, the idea of running gave me shivers, until I realized that it is one of the easiest and most inexpensive ways to ensure good health. My recent conversation with Ms. Godara was not only inspiring; it encouraged me to take long distance running seriously. She was more than happy to share her tryst with running marathons. 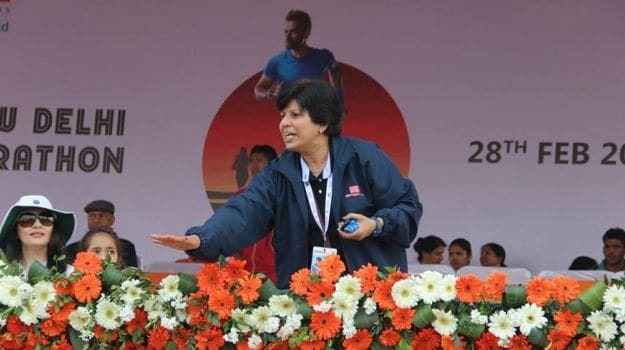 Presenting, the Indian with the most marathons under her belt, the undisputed Indian marathon queen, Sunita Godara – outright and personal about running and much more. Honestly, I was always into extra-curriculars. You would always spot me getting the kids together for some activity or the other. I was the star athlete of my school in Bokaro. In a way, my stamina was always great right from the start. For my college, I moved to Banasthali Vidyapeeth where I got a chance to learn horse riding and dance. I was in NCC and tried flying along with parachute jumping and a lot more – being active was always a way of living for me. In 1980 I moved to Delhi after finishing my master’s degree in Jaipur and joined Mother’s International School. I was the hostel warden with the school. It was then when I initiated fun activities for kids every Sunday. We would run and jog to areas like Qutab Minar. I also remember doing fun night runs with the kids to Sainik farms. Then onward, I was easily running 5 kilometers every day which gradually went up to 10 kilometers a day. I was then told by many people to take up running professionally, the idea excited me and I decided to train and participate in the Rath marathon. It was my first full marathon in the year 1984. I managed to finish in around 3 hours 30 minutes and as a prize, I was invited to participate in the Boston marathon, USA. At that time in India, running was strictly competitive and there were just three more women with me competing in the run, but when I went to Boston, I was foxed! There were approximately 1000 women competing in my category (category C). It hit me somewhere and I decided to take it up professionally. There was no looking back. When I was training for the Rath full marathon (42 kilometer), as I said, I was easily running 10 kilometers almost every day and every Sundays I would run from IIT to Palam airport, roughly 30 kilometers. I was always slim, but I lost an extra 8-9 kilograms when I started with the intense training. I don’t mean to scare you, but I was running an average of 150 kilometers every week. I was doing a lot of things associated with fitness during those days. I finished my diploma in athletics from National Institute of Patiala. I got married in the year 1987, my husband was Master of Sports with the Army. I thought that all of it will come to an end after my marriage – the running, the athletics, all of it. I was already among the top three in India at that time, it became my husband’s dream to take me abroad, make me the Asian champion – which he did – I won the Asian title in the year 1992. I have run in close to 26 countries and some 200+ races. My record of winning the maximum number of marathons by any Indian remains unbeaten till date. 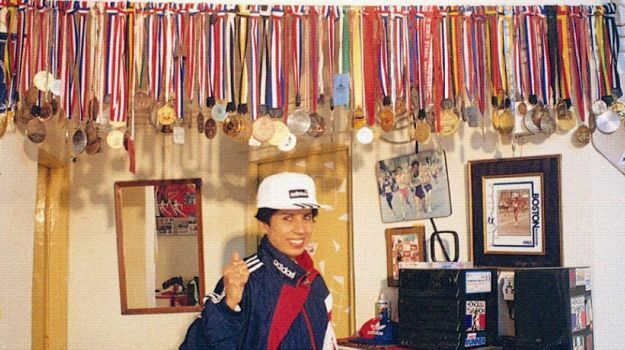 I was once called the Malaysian marathon queen. I was also the brand runner for Nike and Adidas for six years each. None of this would have been possible without three things – determination, support and of course a disciplined lifestyle and diet. It doesn’t really matter if you are training for marathons or not, one should always maintain a healthy lifestyle with balanced diet and some amount of physical activity. My diet used to include lots and lots of vegetables, fruits, fluids, milk and nuts. You have to monitor your calorie intake, opt for good carbs, eat nice amount of protein, stay hydrated and get ample rest. Stretching is really important. 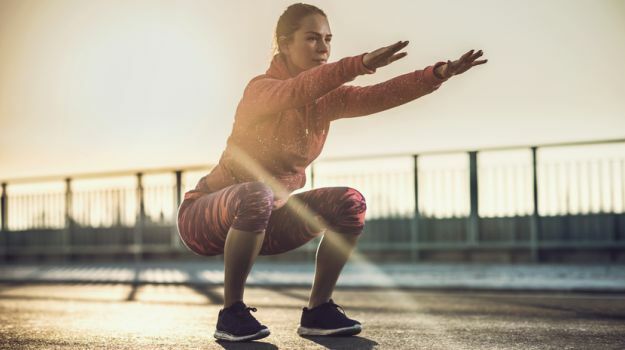 Since running makes you lose energy and body mass very quickly, make sure you are gyming, doing body-weight training or cross-fit training to keep the muscles strong. Red blood cells also tend to go down when you are undergoing rigorous exercise routine, so keep your diet a mix of all essential nutrients. I used to take some permitted nutrient supplements like iron, Vitamin D, calcium and Vitamin E.
For any athlete, fitness would translate into delivering the best and clocking in at the best time. Otherwise, in my opinion, fitness would be to be able to maintain an ideal body weight, steer clear of ailments and live a pain-free life. On World health day I would like to say this – be selfish about your own body. You have got 24 hours in a day; take 30 minutes out for your body. Love your body, because in the end, nothing but your health and body will help you make your dreams come true and achieve all that you are working hard for. Stop being lazy. Get out there, join some group, motivate and get motivated. You need not run – jog, walk or simply join yoga, get active. If I can become the Asian champion after getting married, everybody can do anything, just set a goal, make a commitment and be at it.